Schools, the NHS, taxes: this is the stuff that hits at the heart when people are considering where to place their x on the ballot paper as a general election approaches. Housing is generally way down the agenda. But significant housing under-supply and the inability of Generation Rent to become part of the UK’s property-owning democracy are focusing Westminster’s finest minds on housebuilding. We are building around half the homes needed – more than 30% below what we were building in 2007-2008, as property consultant Savills stated in its report, Garden cities: Breaking new ground. As a result, all three political parties are pledging to build more homes, and they are voicing a determined enthusiasm for garden cities. The coalition government published a garden cities prospectus in April and announced that Ebbsfleet in Kent would be home to the first of a series of locally-led new communities comprising at least 15,000 homes. Garden cities are also set to feature in a roadmap for the delivery of new homes being produced by Sir Michael Lyons’ independent review, which is informing Labour leader Ed Miliband’s policy plans. As Kate Henderson, chief executive of the Town and Country Planning Association (TCPA) says, ‘For the first time in a generation all three leaders are backing the idea.’ But that does not necessarily mean the omens are good for building a new generation of garden cities. 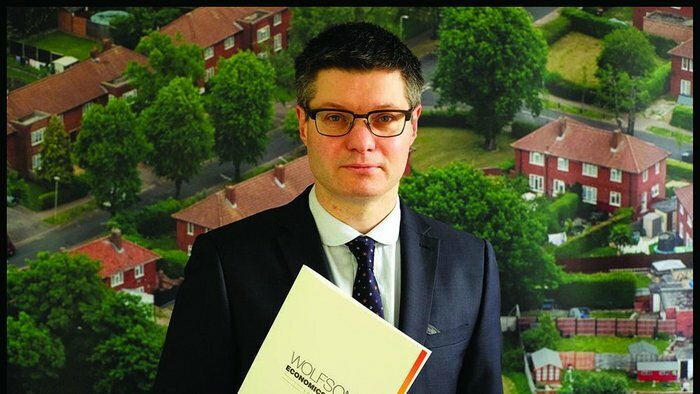 Alongside the political rhetoric, this year’s Wolfson Prize for Economics has provided a platform for ideas exploring how garden city principles can be delivered in 21st century Britain with its brief demanding ‘visionary, economically viable and popular’ solutions. Five finalists competed for the £250,000 top prize, which was won by David Rudlin and Nicholas Falk of Urbed, working with John Rowland, of Jon Rowland Urban Design, Joe Ravetz, co-director of the Centre for Urban Resilience and Energy at Manchester University and Peter Redman, managing director, policy and research at TradeRisks. The winning submission was not based on the creation of a new settlement, but boldly advocated taking a bite out of the Green Belt and near-doubling existing ones. The solution adhered to garden city principles, with land value being captured for broader benefit, 30% of new housing being affordable, and new parkland and gardens being created – at a level equalling the new development plots, and new infrastructure, to complement the existing. The Urbed team applied its thinking to the fictitious settlement of Uxcester and the real location of Oxford, and identified 40 town and city locations where the approach could be repeated, including Reading, Northampton, Norwich and Stratford-on-Avon. The submission was rooted in reality, being modelled on work that Urbed has done in Cambridge to help it plan for the delivery of 73,000 new homes alongside essential infrastructure. The winning idea won much praise and was full of promise, but use of Green Belt land caused housing minister Brandon Lewis to pour scorn on the idea. At the same time, the government’s proposal to create a garden city in Ebbsfleet has come in for questioning – not least from Henderson. The cluster of three sites close to Ebbsfleet International Station has been earmarked for a new town since the 1990s but landowners have struggled to make development stack up financially. Henderson and others have called for garden city principles to be written into the terms of reference for Ebbsfleet’s development corporation. The 15,000 homes planned for the settlement will also make little dent in the housing shortage: Savills estimates that a new Ebbsfleet would have to be built every year to accommodate London’s overspill alone. But can it be delivered? Delivering true garden cities at a much larger scale remains the big challenge. Von Bradsky explains: ‘Each of the political parties has a deep interest in this [garden cities]. But it’s a question of how you reconcile housing supply with a localist agenda. A strategic approach is needed, but the government isn’t able to reconcile that.’ Gerry Hughes, senior director and head of planning, development and regeneration at property consultant GVA, echoed this in the consultant’s report, Unlocking garden cities, stating that politicians using the term are not thinking about what the concept really means, ‘nor are they thinking about the complexity of delivering such a concept’. All this would take a long time and the problem of under-supply is more pressing. As a result, some believe that present talk of garden cities is a distraction. Ben Derbyshire, managing partner of HTA Design, says: ‘We aren’t going to get anywhere any time soon with garden cities, and they aren’t going to be big enough.’ He believes urban intensification should be the first priority. He points to HTA’s own research, which looked at doubling the density of semi-detached suburbia, and says we should concentrate instead on intensifying low density new towns like Harlow. Following its Wolfson win, Urbed has been engaged in discussions with a number of local authorities interested in its thinking. Urbed’s Falk accepts the limitations of garden cities: ‘I don’t see garden cities as a solution to the housing crisis – it is much more complex than that. Garden cities are an answer to how Britain should grow sustainably without adding to energy consumption. Our towns and cities have been over-constrained compared to their continental equivalents. The winning concept grafts the garden city onto the rootstock of an existing city to allow it to benefit from the infrastructure that makes up Ebenezer Howard’s sustainable ‘social city’ – amenities such as cathedrals that may only become established over centuries. The Urbed team targeted historic cities with populations of up to 200,000 for expansion, exploring its concept in the theoretical model of Uxcester, an 85,000-home city that in reality is a blend of Chester, Gloucester and Worcester. It is envisaged that the city would double in size in 35 years, by building three substantial urban extensions within 10km of the centre. This would take only 15% of the land within the 10km ring. After being shortlisted for the Wolfson Prize, the team further tested its principles by applying them to Oxford’s borders, where locations like Kidlington offer opportunities to ‘piggyback’ on the investment going into new transport infrastructure. The Hoo Peninsula in Medway, Kent, was an interesting choice of location for the runner up, a submission led by housing charity Shelter working with PRP Architects, and with advice from KPMG, Laing O’Rourke and Legal & General. Mayor Boris Johnson had ambitions to create the Thames Estuary Airport on this site, but instead this concept sees it become Stoke Harbour, a garden city housing up to 48,000 people with good quality homes, including a third for social rent. Jobs, services and infrastructure are also part of the city mix, alongside green spaces, waterways, schools, healthcare facilities and transport links, including a new ferry service. As part of the submission process, Shelter asked Medway residents for their views on development and it found that just over 60% of people would support a garden city in their local area if it would result in improved services.